I guess we all thought that the only novelties Lange would be releasing this year were the two Luna Mundis. Well, nothing could be further from reality, a total of 15 new models/versions were shown at the SIHH! I am sure Peter will be putting together a comprehensive report on the news very soon and I’m glad to let him do all the work, höhöhö. But you can look forward to some very exciting news. 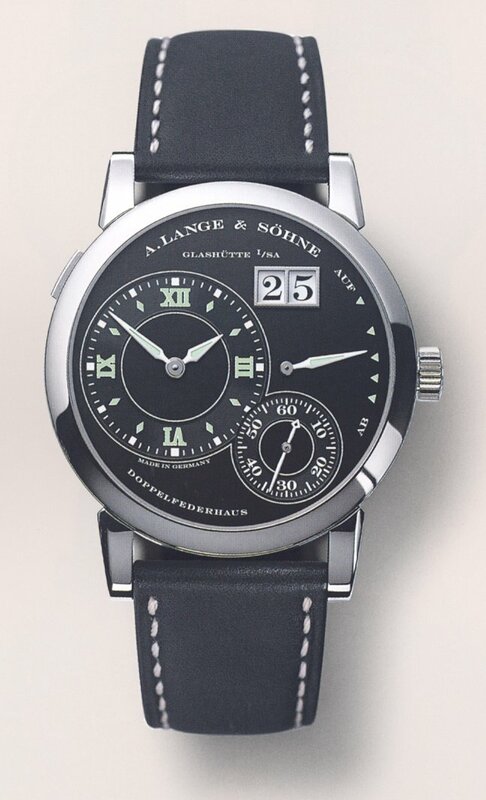 Being a big Lange fan myself, I just had to share one of the new models, the Lange 1 “Luminous”. The jury is definitely still out on this one, comments ranged from head-shaking to complete exhalation amongst the group I viewed these with.